There remains a huge stigma surrounding those suffering from HIV/AIDS. For all the advances in medical care and early deaths prevented, that's one thing that has changed little in the thirty years since the AIDS crisis of the '80s. 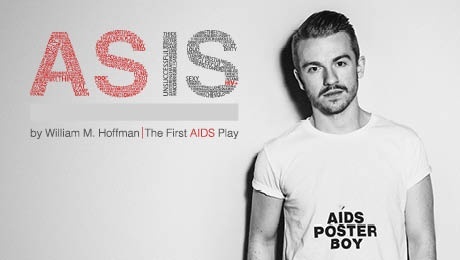 Debuting in 1985 as the first play written about the disease, William M. Hoffman's As Is tackles this stigma head-on. There's an urgency to his writing that not only reflects a call for action, but creates a tightly gripping drama. Sharp dialogue overlaps and layers to generate a frenetic pace - early on it reaches a crescendo before the shared line "don't touch me", biting in its simplicity and heavy with meaning. What perpetuated the myth of AIDS was fear, ignorance and lack of knowledge - all summed up in that one phrase. From there, Hoffman lifts the veil and delivers a well written and affecting drama to boot. The plot follows Rich (Steven Webb) as he returns to his ex-lover Saul (David Poynor) after contracting the disease. Yet there's a bright accompanying ensemble of varying roles, so we witness not only Rich's deteriorating health, but also the impact on those around him. At times, the central couple dwell too much on philosophising mortality, but for the most part this is a hugely touching portrayal of a homosexual relationship. That's down to the honesty of the writing and the sensitivity of the actors. Hoffman doesn't shy away from the horrors of the situation, whilst Webb and Poynor offer believable and nuanced performances with an often comical touch. This is raw and at times harrowing storytelling with a heavy dose of humanity - a reality check for its audience. 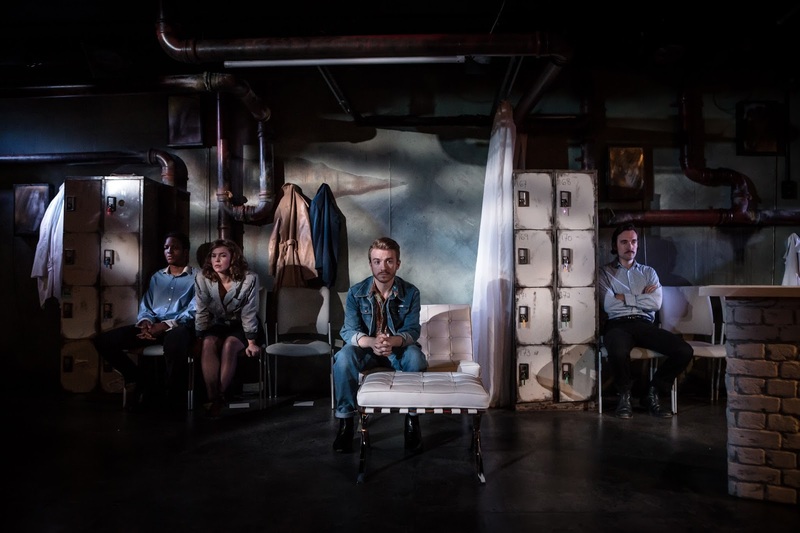 In this production, director Andrew Keates captures the essence of '80s living: the dizzying drug and alcohol fuelled parties; the hedonistic, sexual freedom; the simmering fear. He directs a talented and accomplished cast, making creative use of a small space yet allowing the central relationship to breathe. Neill Brinkworth's lighting design and Matthew Strachan's music are colourful and evocative additions to what is a life-affirming, rather than bleak, play. If As Is shows one thing, though, it's the power of theatre to educate - something that Keates (himself a HIV/AIDS campaigner) is keen to extend with Q&As, seminars and testing alongside the show, supported by notable charities like the Terence Higgins Trust. 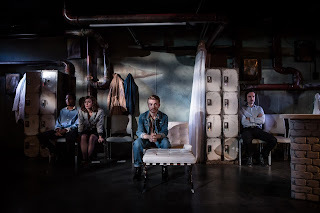 Despite being 'the first AIDS play', As Is remains a vital, powerful and relevant piece of theatre thirty years later. 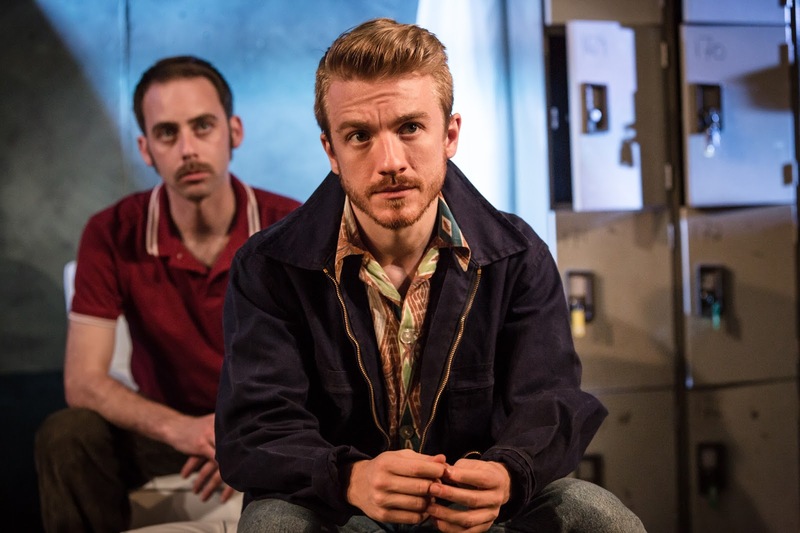 Watch: As Is runs at the Trafalgar Studios until 1st August.